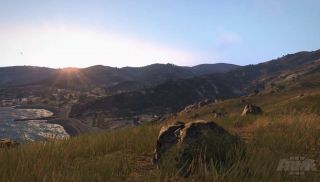 With ArmA 3's alpha build now live on Steam, Bohemia have produced a video showing which parts of the game are included at this early stage. It also provides the chance to appreciate the rather spectacular visuals accompanying this latest military sim, without the threat of explosive fire raining down upon your head. Firstly there's the infantry-heavy Sandbox content, for those looking to make use of the Editor. While it focuses heavily on the men of war, a limited selection of vehicles are available, with more due in the coming months. A selection of Showcase missions are also available, giving you the chance to go Scuba diving, valley assaulting, vehicle nabbing or chopper piloting. If this trailer's brief exploration of the alpha has sparked an uncontrollable urge for more details, head here so that Evan's hands-on impressions can quell your insatiable hunger.